Around 2004 I returned to a modern novel I had started in 1982. It was called The Life and Life of Felix Breit and was set between 1947 and the 1980s. I had discussed it with Hodder right from the start, but I soon learned that the last thing any publisher wants of a writer who has become successful in one genre is an idea for a story in a different genre. My editor was not even lukewarm. Even so, I worked on it between commissioned stories over the next twenty years. The idea grew out of a simple speculation, based on our life at Marden Hill – an elegant Georgian mansion near Hertford whose 50-odd rooms and outbuildings were divided, around 1960, among seven young professional families – mainly architects, journalists, and graphic designers. We joined the community there between 1964—74, before we moved to Ireland. There I began to wonder what kind of community Marden Hill would have been if the house had been divided in the late ’forties, among men and women who had fought a war, risked their lives, parked their careers, been interned, or, at the extreme, had survived the death camps. I renamed Marden Hill “The Dower House” and set about exploring the possibilities. I built the back-story around a single character – a German sculptor I named Felix Breit, a quarter-Jew who knew nothing of his Jewishness until the Gestapo arrested him in Paris in 1942. (That was another thing Hodder didn’t like; they preferred me to write exclusively about feisty young heroines who triumphed against all the odds.) The Nazis never intended to arrest Felix permanently (he was not, in any case, a “full Jew” according the their absurd classification system); they wanted his arrest to create a cause célèbre that would distract public attention from the arrest of hundreds of other “ordinary” Jews. But Felix decided to go on the run, anyway. He lived as a partisan until 1944, when he was caught and sent to Mauthausen concentration camp. An admirer in the camp administration saved his life by including him in a medical experiment to see how long a human could survive on an exclusive diet of peas, beans, lentils, etc. (“As long as the diet lasts” is the answer.) But he caught TB and was half-dead when, on the day after the war officially ended, Mauthausen was liberated by the Americans. Willard Johnson, an American officer in AMGOT (Allied Military Government [of] Occupied Territories), was supervising the work and, coincidentally, playing host to a couple of fellow officers from the British Branch of AMGOT –Adam Wilson and Tony Palmer. Adam, a particular admirer of Breit's prewar work, saw him being carried out on a stretcher and pinned his card to Felix's clothing, with a scribbled promise of help if he ever needed it after his recovery. The address on the card was that of his London club. While working with AMGOT Tony had met and married Nicole, a member of the French Resistance who pretended to fraternise with the Nazis in order to glean information; her work had been so secret that, at liberation, her fellow villagers shaved her head as a collaborator – until a Resistance leader told them the truth. Also while working with AMGOT, Willard had courted Marianne von Ritter, daughter of a Nazi-loving Swedish steel baron who had got her a place in the drawing office of Albert Speer, “Hitler's favourite architect”. At the war's end Willard had abandoned her and gone home to America, but he could not forget her and so, right at the beginning of the story, in Chapter Two, he returns to Germany, seeks her forgiveness, and marries her. But Chapter One opens with Felix, newly arrived in London, turning up at Adam’s club and meeting him and Tony again. They have just started renting the Dower House from the local gravel company – a few miles from Hertford and 30 miles from central London – and so they offer him the chance to set up his studio there. Willard and Marianne turn up on honeymoon in London before returning to the States; they, too, are persuaded to stay and take a flat in the house, instead. And so, couple by couple, the community becomes established. Felix meets Faith Bullen-ffitch a publishing executive; they become lovers and he is drawn into the world of publishing. Eric Brandon, a cynical freelance writer with a mysterious past in army Intelligence, and his wife Isabella, an editor on Vogue, take one of the flats. Angela Wirth, a tape-recording expert at the BBC, catches Felix's eye ... and so the story, too, is launched. Her father, the chief recordist at the pre-war UFA film studios, taught her the craft and she was recruited into the technical SS by Reinhard Heydrich, deputy head of the SS; he ordered her to secretly record the Wannsee Conference of January 20, 1942, at which “the Final Solution of the Jewish Problem” was decided. Appalled at what she heard, she made an illegal transcript of it and a carbon copy, both of which she hid until after the war. But after Heydrich’s assassination in 1942, other SS high-ups had her sent to Ravensbrück, the concentration camp for women, with orders to keep her alive (if only just) “until she admits she must have made transcripts – and reveals their locations.” As our story unfolds it turns out that she has had previous associations not only with Felix but with another of the Dower House people. The Second World War never really lets them go. From the beginning I was determined not to write a social history – nor even to keep the historic highlights as a sort of tick-list running in the background. There would be no creaking mention of, for instance, the Swinging Sixties, Carnaby Street, Angry Young Men, CND, the Beatles, oil shock, comprehensive schools, Suez, the Cuban Missile Crisis, one-small-step-for-a-man, The European Union, Kennedy’s assassination, The Winter of Discontent … and more. In fact, Suez is mentioned, once, to explain why a bunch of Dower House residents are taking part in a demo in Trafalgar Square (but even then they are more interested in discussing how to raise the capital to buy the Dower House from the gravel company that owns it). And Kennedy’s assassination is clearly behind the sombre mood of one chapter even though it is not specifically mentioned there. I wanted to leave all those social changes quite vague and concentrate instead on the loves, hates, shifting allegiances, ambitions, disappointments, and triumphs of the ten diverse families that, at various times down three decades, occupy the 50-odd rooms of the house and the former head-stable-lad’s cottage – that and the relentless grip their wartime experiences still holds on their peacetime experience. Although it concentrates on life in the Dower House, the action is not at all confined to its five acres. A list of the locations to which one character or another takes us suggests the scope of the story: Gothenburg in Sweden, Hamburg and the Baltic Coast in Germany, Paris and the Camargue in France, Manhattan and New Jersey in the USA, Florence and Fiesole in Italy, and Istanbul in Turkey. Even within England there is action in many different parts of London (of course) as well as in Cornwall, Gloucestershire, Yorkshire, and the Forest of Dean. After heaven only knows how many rewrites I finished the book in 2008 and sent it – with little hope of acceptance because it was 360,000 words, or a thousand pages, long – to Georgia Glover, my wonderful agent at David Higham. She came back with an offer from Severn House to publish it in three 90,000-word volumes – which, obviously, meant cutting 90,000 words. That actually proved easier than I feared; nothing essential to the central story had to go, though some chapters in which events unfolded, “in real time” as it were, had to be reduced to a condensed retelling in, say, a letter or a bit of dialogue. Setting losses against gains, it was an improvement; and Severn House’s editors, contrary to the moans about editors you might hear among writers these days, were sharp-eyed and demanding. But the decision to slice the story in three (The Dower House, Strange Music, and Promises to Keep) proved a disaster. The Stevenson Saga was rightly told in four volumes (quite apart from the fact that it ran to over 800,000 words!). The first volume was a tightly focused story of the founding of a business; the second, the expansion of that enterprise on a world scale; the third, the effects of that success on two of the sons, who had opposing ambitions; the fourth, the rebellion of one of the daughters who made a life of her own at a time when women weren't supposed to do that sort of thing. But The Life and Life of Felix Breit is the saga of a family that has ten fathers and ten mothers – and getting on for 30 children. It starts in 1947 and moves in a straight line toward the 1980s. It is seamless, immersive reading with (I hope) the magic that comes with total absorption into other lives and earlier times. To cut it in three and issue them over 18 months is saying to the reader: “Well, that’s your first 90,000 words. I know they don’t draw everything into a satisfactory conclusion, but just wait till next year, when there’ll be a further 90,000 to … er … take it onward a bit. And a few months after that (if you can still remember the beginning bits) there’ll be another 90,000 words and they will definitely draw it all neatly together!” Believe me … this is not part of any “write a bestseller” plan. But as a formula for selling a few hundred copies of each fragment it is unrivalled – and I have the royalty statements to prove it. So, as soon as the sales fell to the point where the rights reverted to me, I brought out this ebook version as a single story of around 270,000 words. (That is – I did not restore any of the material I cut in order to make the three volumes for Severn House.) Enjoy! Severn House adds to its engaging series of historical romances with the first in a new series by bestselling British author MacDonald set during in the devastating aftermath of World War II. Jewish sculptor Felix Breit has survived Nazi medical experiments at the Mauthausen concentration camp. He reaches London in 1947, where two architect friends, sensing that the war and its atrocities will utterly change humankind’s perspectives on our capacity for good and unspeakable evil, rent a 60-room country manor, the Dower House, in the hope of establishing a commune dedicated to a ‘post-war renaissance.’ Their ‘community of the future’ will include working class people, and all will strive for ‘the next stage of civilization.’ There Felix finds himself warning a Frenchwoman about the scars she’ll get if she ‘keeps picking at the wound,’ thus establishing the tale’s moral center amidst post-war tension. Blending a well-researched setting with an unusual story line, MacDonald captures the era’s specifics, and reaches for universal truths while probing wounded psyches in a damaged world. Felix Breit is a well-respected sculptor in prewar Europe. Living in Paris after a fight with his father, he is shocked when he is arrested and sent to Mauthausen. It seems that his grandfather, a second-rate artist and vocal anti-Semite, was actually born a Jew. So Felix is a quarter Jewish, enough for the Nazi death list. Two architects he meets when he’s rescued from Mauthausen invite him to England, where he takes up their offer of an apartment and workshop in a sprawling Hertfordshire mansion. A chance meeting in the Victoria and Albert Museum brings him a lover and career-builder in the delightful form of Faith Bullen-ffitch. Among his neighbors in the building is an American bridegroom of Marianne von Ritter, whose Nazi-loving Swedish parents sent her to work in Germany; an English architect whose French wife despises Marianne; and several other ill-assorted couples. Felix is immensely attracted to Angela Wirth, a Ravensbrück survivor, who worked for the Nazis as a sound recorder. After secretly recording the meeting about the Final Solution, she made a transcript that she sent to the Communists, earning herself a spot in a death camp. This series debut from prolific Macdonald (Rose of Nancemellin, 2001, etc.) explores the dynamics of the relationships between the Europeans and their very different English hosts. It’s all heartbreaking and romantic, with intimations of future happiness. An exploration of the day-to-day world of a disparate group of people rebuilding their lives in postwar England. 1949 finds famous sculptor Felix Breit and his wife, Angela, a sound recording expert, both concentration camp survivors, living in a semi-communal group at the Dower House estate with architects Adam and Sally, Willard and his Swedish-born wife, Marianne, and Tony and his French wife, Nicole. Also in residence are Felix’s former lover Faith, a publishing executive; writer Eric and his fashion-journalist wife Isabella; economist Terence and his wife, Hilary; and BBC cameraman Arthur and his wife, May – along with an ever-growing group of children known as The Tribe. The group, whose politics range from conservative to Communist, get along despite their endless provocative discussions about Britain’s, and indeed the world’s, future. Many in the group are still struggling to overcome their wartime experiences. Although Felix and Angela have the bitterest memories to deal with, the arrival of Marianne’s father, a Nazi-loving aristocrat, changes her life. Ambitious Faith finds a husband whose job at the BBC is a cover for his activities as a spy. And the addition of a young artist with a string of lovers adds spice to the community. By 1952, when the story ends, rationing will have ceased, a huge effort will have begun to rebuild England after the wartime bombings, and the future of commercial television will have presented opportunities for several Dower House denizens. 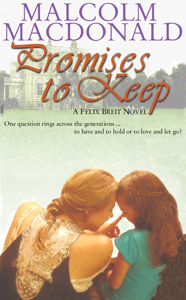 Although nothing much seems to happen in the second installment of the Felix Breit saga (The Dower House, 2011), the times are exciting and the characters well-enough drawn to whet the appetite for more. 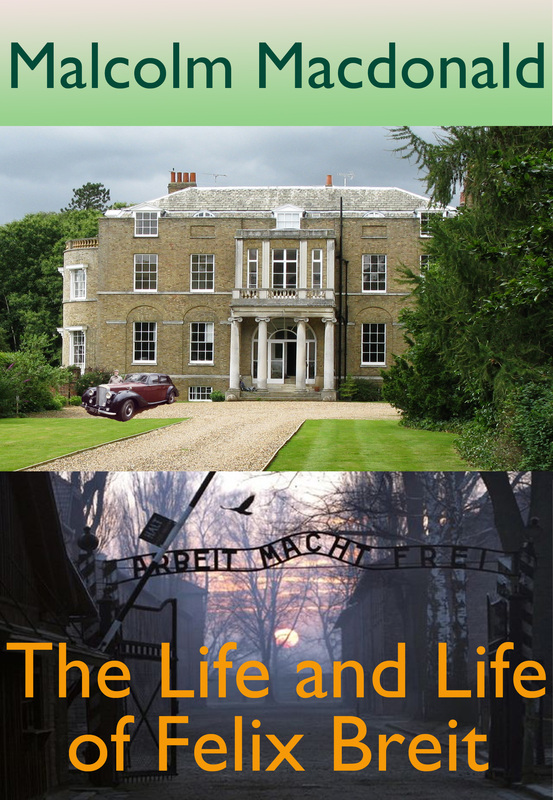 The Dower House (2011), the first novel in Macdonald’s England-set series about German Holocaust survivor Felix Breit, was followed by Strange Music (2012). Now the third book in the “literary sandwich” begins in 1956, during the Suez crisis, and moves into the 1960s, a time of dizzying change. The community of nine growing families — their “Tribe” of children now numbers 30 – are bickering over the division of space in light of new housing developments and decide to buy Dower House. When one of Felix’s long-lost cousins surfaces in London, now very British and a member of the Church of England, Felix and his wife, Angela, must face both painful truths about the past and an uncertain future. They feel “marooned in the heart of this manicured belt of green” and miss the natural wildness of the acreage as it was when they first took refuge there. A poignant tale of the personal and the political, with a large and compelling cast of characters.